Plants quality is not only related to their genotype, aspect and size. Their real crop potential is also important. HORT soc. coop. offer a service of agronomic qualitative analysis (plant architecture, flower mapping/counting) of fruiting plants, especially developed for strawberry plants, making available high-level scientific expertise gained during years of academic and research activity at Marche Polytechnic University (Ancona, Italy). 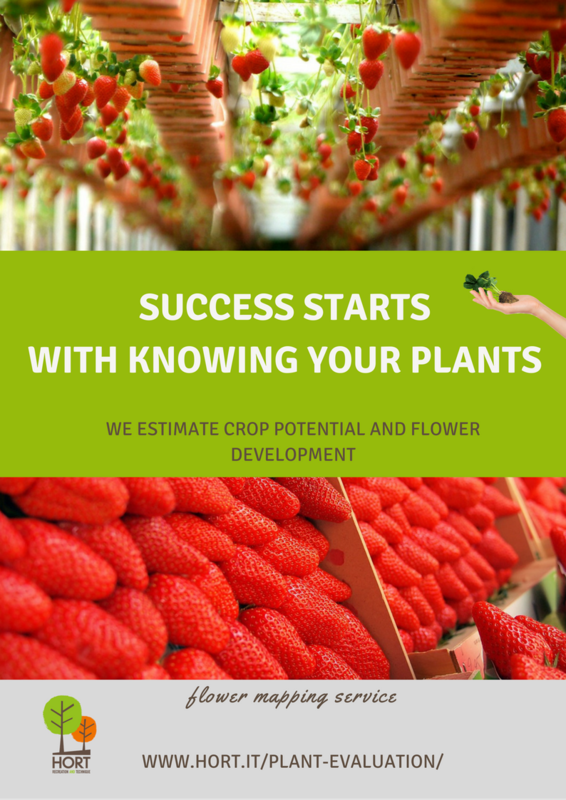 By describing number, position and development of plant organs, our service support nurseries and growers to improve the quality of plant material and production. Architecture analysis helps NURSERIES to orient production technique and guarantee the quality of offered plants. 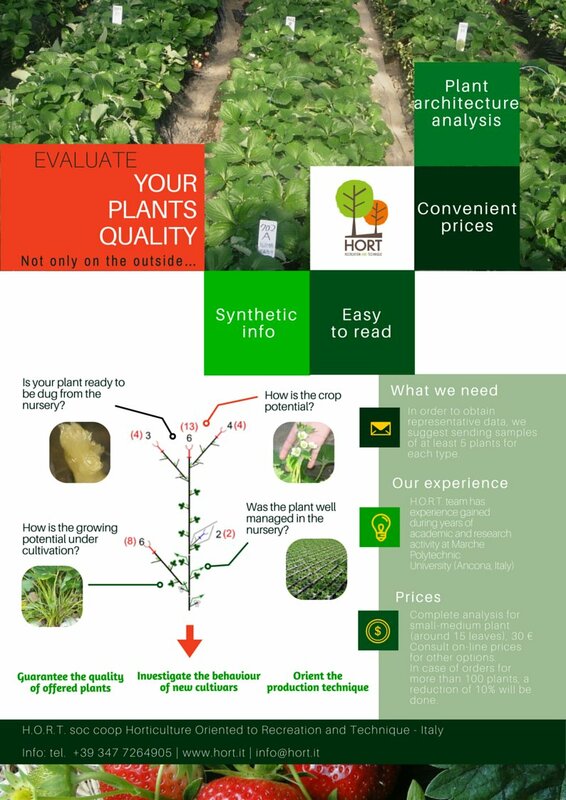 GROWERS use analysis to choose growing technique and to know the agronomic quality of the plants they are going to buy. Analysis give BREEDERS a mean to investigate vegetativereproductive behaviour of new cultivars. The service is available for: strawberry, raspberry, blackberry and currant. Requests about different species will be considered. Developmental phase of the inflorescences – To predict earliness and synchronicity of fruit production. Total number of flowers (Inflorescence architecture) – Proportional to the real number of fruits.